Fresh talks between Dunfermline and the former Hearts boss took place on Tuesday morning. Jim Jefferies has signed a deal to take over at Dunfermline Athletic, STV understands. The former Hearts boss has been in talks with the Pars since the weekend, following the dismissal of Jim McIntyre on Friday evening. Fresh talks took place on Tuesday morning. Despite reports, Dunfermline chairman John Yorkston has told STV the deal agreed will not expire at the end of the 2011/12 campaign. "Jim has signed a contract with Dunfermline," Yorkston said. "It is not until the end of the season. More details will be revealed at a news conference on Wednesday." 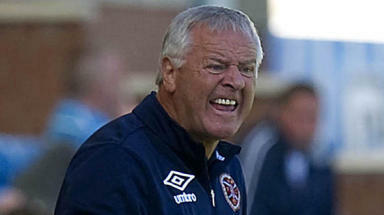 Jefferies has been out of work since leaving his post as Hearts manager in August 2011.